County committee elections are over, the ballots are counted and the results are in: Charles Kaff, of Carbondale, was elected to represent LAA1. Elected county committee members serve a 3-year term and are responsible for making decisions on Farm Service Agency disaster, conservation, commodity, and price support programs, as well as other federal farm program issues. County committee members are a valuable asset because they are comprised of local producers who participate in FSA programs themselves and have a direct connection to farmers and ranchers in the community. Recently elected county committee members took office on Jan. 12, 2017, and joined the existing committee. For more information about county committees and the election process, contact the local FSA office at 785-828-4631, 115 W. 17th St., Lyndon, or visit www.fsa.usda.gov. 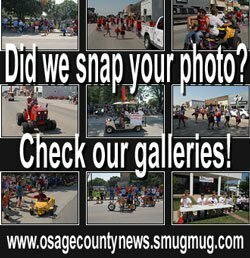 Osage County FSA Executive Director Rachel Parker has announced that farmers and ranchers in Kansas can receive notifications from their county office through text messages on their cell phone. 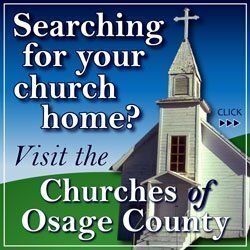 Producers can text KSOsage to FSANOW (372-669) to subscribe to text message alerts from Osage County. Standard text messaging rates apply. Contact your wireless carrier for details associated with your particular data plan. Participants may unsubscribe at any time. Contact the FSA office at 785-828-4631 or 115 W. 17th St., Lyndon, for more information about FSA’s email news service or the new text message option. 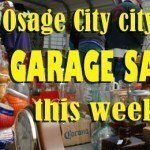 Information thanks to the Osage County Farm Service Agency office.